The Great Balkan Ride offers the chance to see some of Europe’s most underrated countries. 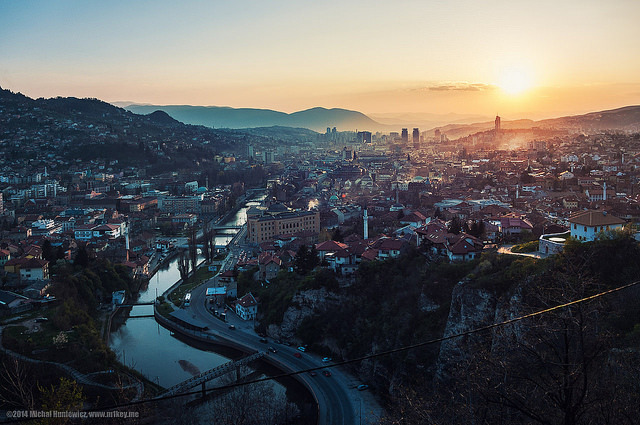 The Great Balkan Ride sets off from Sarajevo, the capital city of Bosnia. Only two decades ago this city was crushed by the longest siege in the history of modern warfare, and the country as a whole suffered terribly through brutal conflicts with its closest neighbours. There are various tragic sights which should be on any tourist’s itinerary, including Gallery 11/07/95, a photo exhibit remembering the terrible events at Srebrenica. And from further back in history you can see the Latin Bridge, beside which Archduke Franz Ferdinand was shot in 1914, sparking the First World War. 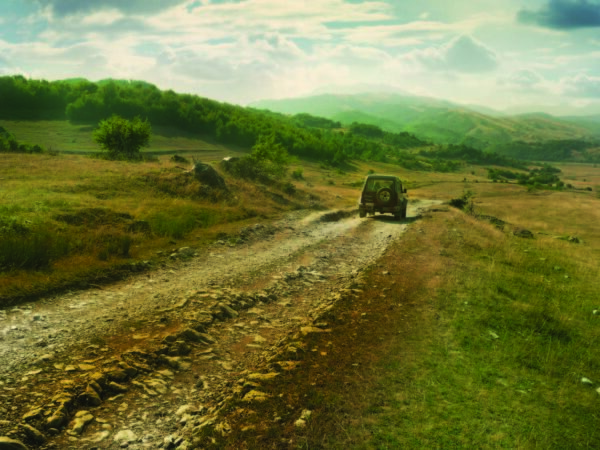 Though dark memories linger, there is much more to Bosnia than its troubled past. Sarajevo’s historic Ottoman quarter, home to a vibrant outdoor bazaar, is a reminder of many centuries of peaceful multiculturalism. The city was host to the 1984 Winter Olympics, and you can walk along the now-abandoned bobsleigh track. The Bosnian countryside is also worth celebrating: the rally passes the supposed pyramids of Visoko. You’ll have to decide whether they are natural, built by ancients, or perhaps the result of extra-terrestrial activity! In recent years the Montenegrin town of Kotor has become increasingly popular among Western Tourists. Though its bay setting is impressive, the Great Balkan Ride will concentrate on the country’s true highlight: its mountains. 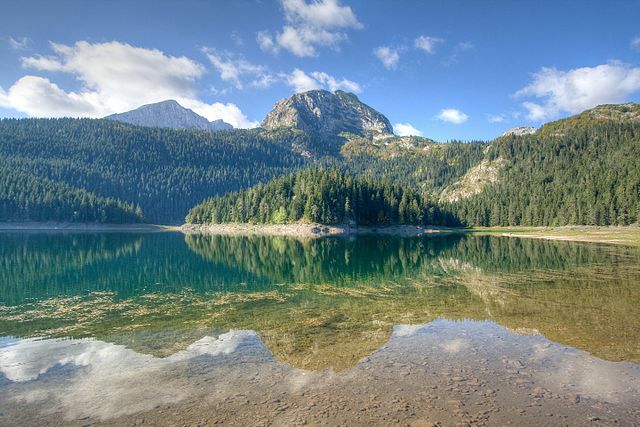 We’ll drive right across the North of Montenegro, staying in the picturesque town of Zabljak. Along the way teams will see the spectacular Tara river canyon, as well as countless jaw-dropping views from winding mountain roads. Europe’s youngest state is also its most surprising. Rather than the grim and dangerous warzone of the popular imagination, Kosovo is home to peaceful landscapes and welcoming locals. We will stay in Peja, the country’s third-largest city and a perfect base to experience some majestic nature. Walk along the central promenade and be wowed by the mountains bordering the town: it’s a very special place indeed. The Great Balkan Ride will also pass Prizren, which is Kosovo’s second city and cultural capital, famous for a lively atmosphere and the numerous mosques and churches which fill its picturesque old town. 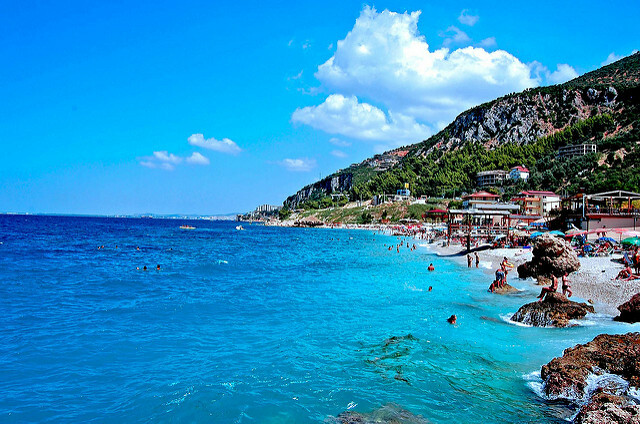 Albania is the undiscovered gem of the Balkans. For so long virtually inaccessible to tourists, even in post-Communism its unique charms have been relatively ignored. Fittingly, this is where the Great Balkan Ride spends the most time. 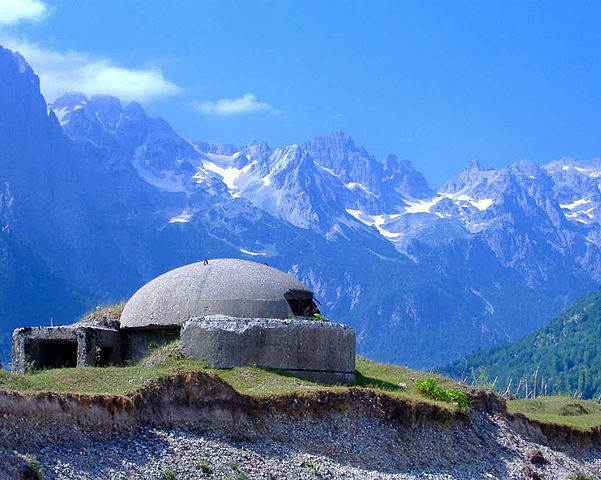 Teams will see quite how different Albania is: starting with the many concrete bunkers (like the one pictured above) which still dot the landscape, a relic of dictator Enver Hoxha’s paranoia about a potential foreign invasion. The country’s isolation also means that it has kept many ancient traditions, particularly in remote villages, and is home to various virtually untouched archaeological treasures. While the truly special attractions of Albania are its unique culture and generous people, we will also find a gloriously varied landscape. 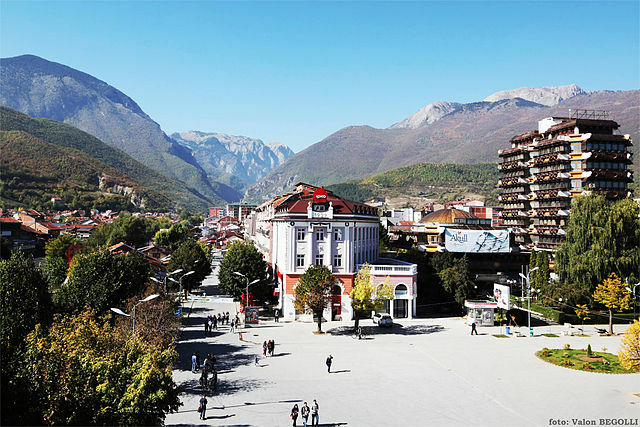 We will stay in the ancient city of Shkodër, bordered by the largest lake in Southern Europe, before driving steep and rugged mountain roads on the way to the isolated mountain paradise of Thethi. After that, we pass through deep forests on our way to the coast to relax on the beach in the ancient cities of Durrës and Vlorë. Our final stop in Albania is Gjirokastër, an old mountain town that has been wonderfully preserved, probably because it was home to Hoxha, the former dictator. Last but not least the Great Balkan Ride visits Greece. Though famous for its many islands, and of course Athens in the South, there is much to discover in Northern Greece. It is the traditional home to a mix of many cultures, dotted around the mountainous landscape. 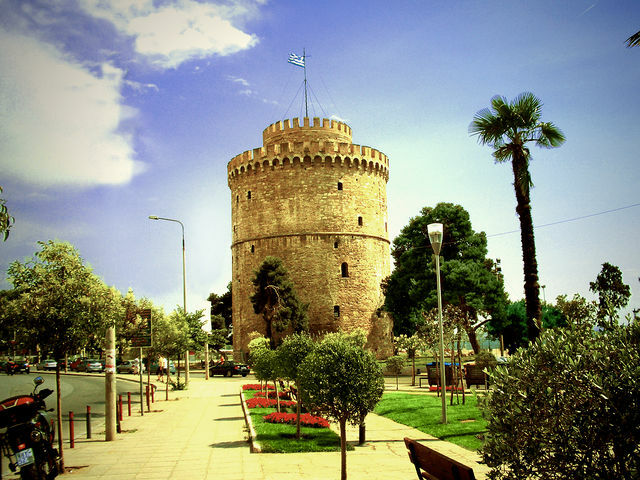 We will pass Thessaloniki, Greece’s second-city and undisputed party capital, which is filled with lively cafes, bars and ancient monuments (like the White Tower, pictured above). We end the rally at the coastal resort of Nea Kallikratia, where we can party in the sunshine, celebrating the end of our journey in style! Previous postRickshaw Challenge Classic Run Ultimate Review!